Heirloom Audio Productions has been one of my favorite assets homeschooling my family. Why? We love read alouds. Typically for read alouds I (mom) read a book to the older two children. However sometimes when I'm not feeling well it is hard to read two-five chapters. This year has been particularly hard since I'm pregnant and frankly feel bad all the time. What's a girl to do? That is when Audio productions come in handy! First let me explain a little about the difference between Heirloom Audio Productions and a standard audio book. With an audio book you have a narrator telling the story. You might get a few voice changes but for the most part it is a flat telling of a book. With Heirloom Audio Productions it is like a full theater production. There is a cast of actors/actresses for each of the parts and their voices add to the story telling because you know when someone is talking. It allows you to get a feel for each character. Their is also music and sound effects. It is a full production. Reminds me a bit of the old time radio shows but with a completely modern feel because of current technology. As you can see there is a big difference! The Study Guide we received was a downloadable PDF. It is full color and contains so many wonderful facts about G.A. Henty (the author of our story), General Robert E. Lee, and General Thomas "Stonewall" Jackson. Discussion questions and suggested vocabulary are included as well. It was a great asset to make the audio cd into a full unit study. For this review my two older sons and I listened to the program. It was quite easy to gather in the living room on the couches and relax for a bit of time. The program is 2 1/2 hours long so we did it over the course of two days. It would be a great choice for a long car ride too but we didn't have any of those this summer. This production was full of action pretty much from the first second on. I love how it is narrated through out - which makes it easy to follow along. The subject matter slavery and the Civil War are topics we've been discussing with my bigger boys lately so this was a nice piece of the puzzle for them to see what the time was really like. We truly live in a different world than that time period. We have really enjoyed all of the Heirloom Audio Productions and this one is no exception. The action, the narration and G.A. Henty's amazing story make for a wonderfully entertaining production. Have you seen my previous reviews of Heirloom Audio Productions? 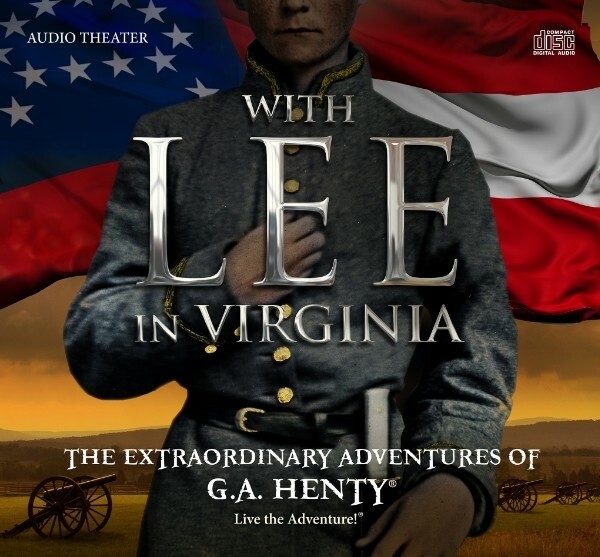 Click on the image below to see what other Crew Reviewers are saying about With Lee in Virginia!